Peep! Peep! Enter Edaville Family Theme Park home of Thomas Land an hour before the park opens. Enjoy our famous "Kid-Friendly Buffet Breakfast," while watching a live interactive show hosted by Driver Sam and Sir Topham Hatt at Tidmoth Sheds. After the show, VIP guests will enjoy a meet and greet with Sir Topham Hatt including a first time ever photo opportunity with Sir Topham Hatt & Thomas the Tank Engine™ together. Even better, following the show select rides will be open for our VIP guests. Package price includes GA & upgrade ticket. Please arrive by 8:45 AM for check in at the front gate. ALL tickets are $49 2 & over. Under 2 year olds are free and are required to sit on a lap. A paid admission is required to reserve a seat. No refunds. 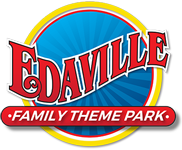 Rain dates will be announced by Edaville Family Theme Park, rain dates are always the next day.